Teacups rattle as Miss Elizabeth Mapp and Emmeline "Lucia" Lucas vie for dominance of the small English town of Tilling-on-Sea. 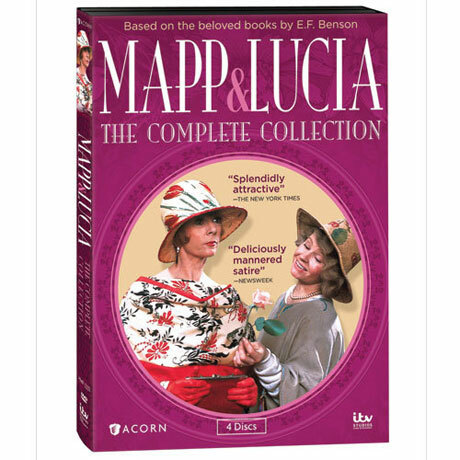 Based on the beloved books by E.F. Benson, first seen on PBS in the mid-1980s and a cult favorite ever since, this delicious social satire features country scenery, local color, and a stellar cast including Geraldine McEwan (Agatha Christie's Marple), Prunella Scales (Fawlty Towers), and Nigel Hawthorne (The Madness of King George). 10 episodes, 8 1/4 hrs, 4 DVDs.